What we will cover is by no means all the muscles in your body, they are the muscles artists care about because they will affect the surface. This means they are the ones we will draw, sculpt, model, paint, or animate. There are many deep muscles that are virtually useless (except in strange cases) to us as artists. 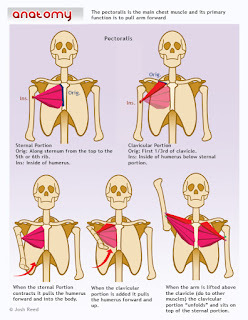 When we discuss a muscles main function, be aware that muscles rarely act in isolation. Other groups may be active at the same time, and there is usually a set of muscles that will stabilize a specific action. For now, just understand what each muscles main function is, and by acting out the actions yourself, you will get a pretty good understanding of how muscles move. Lastly, we will discuss origins (Orig.) and insertions (Ins.). But don't let these terms throw you. 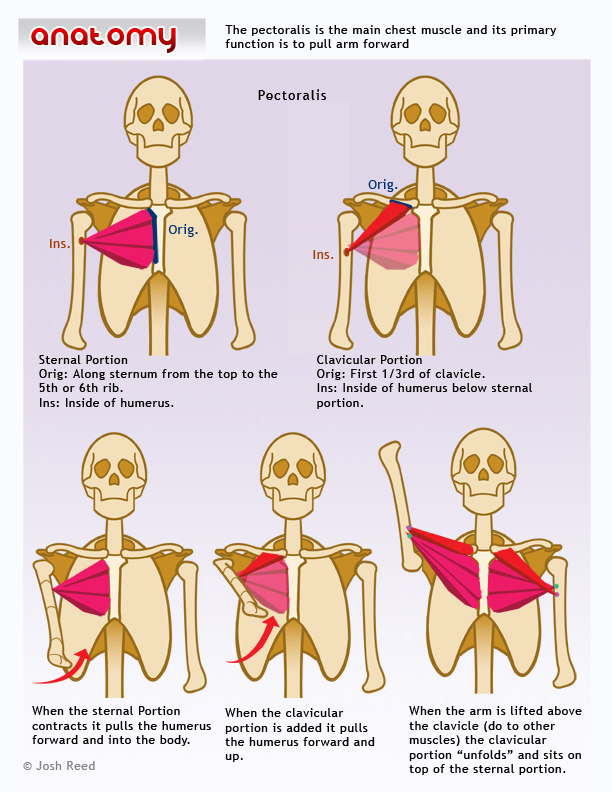 Remember muscles can only pull, so each muscle needs to be anchored to a part of your body (origin) and attach to another part of your body to move it (insertion). For our purposes as artists, this is the simplest way to understand origins and insertions. I hope you have fun on your journey through anatomy! Great work sir! A very good start to an informative series. Thank you, it's nice to hear that this series is helpful!